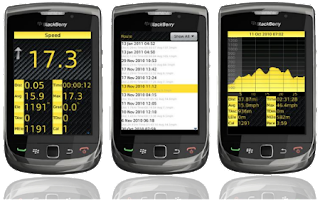 GPSpeedOMeter is GPS application has a function speedometer designed for cyclists, but can be used walking, running, boarding etc.So we get accurate data along the way that you have passed.GPSpeedOMeter will help track the journey through your blackberry mobile phone GPS functions.The trip can be saved and viewed at a later stage through GPSpeedOMeter. GPSpeedOMeter integrate maps so that they can see your position in real time.It will link the journey of the same route.Then allows you to race in any way that indicates when the front / rear, the distance front / rear with a numeric value and also visually on the map.Integrating GPSpeedOMeter with RideWithGPS site you can upload and add links journey from application to twitter, facebook or email to a friend. -OneClick Integration to RideWithGPS website to upload trips to be viewed on PC and also email or tweet link to trip to friends. GPSpeedOMeter a sophisticated GPS sports tracking and analyzing.Sync data online and view them in a variety of graphical formats will help analyze your progress and plan strategies for improvement. 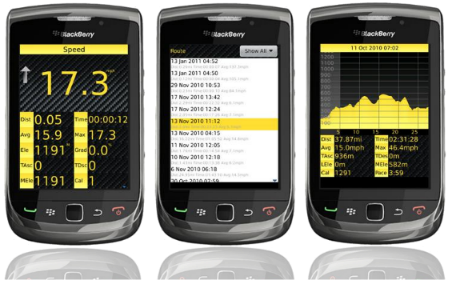 To download a FREE version Blackberry GPSpeedOMeter enter your email and click submit. prepaid sim Post announcement of much awaited spectrum-sharing policy, Videocon Telecom plans to pool spectrum with other operators to provide 4G LTE services .